Spotting watches in every possible occasion is fun for all watch enthusiats and silver screen is a perfect plcae to do that. 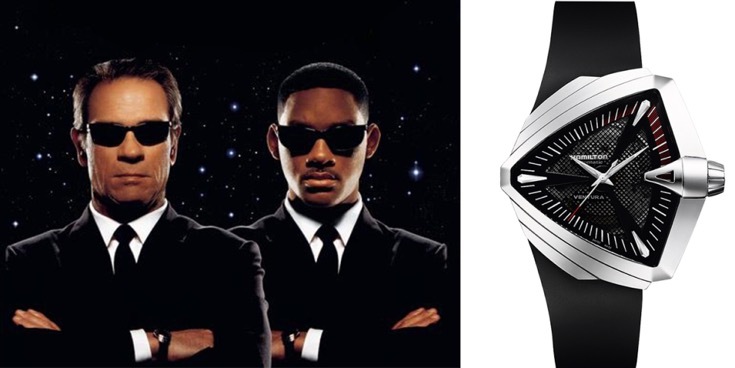 We made our homework and put together the most iconic watches ever appeared on silver screen. 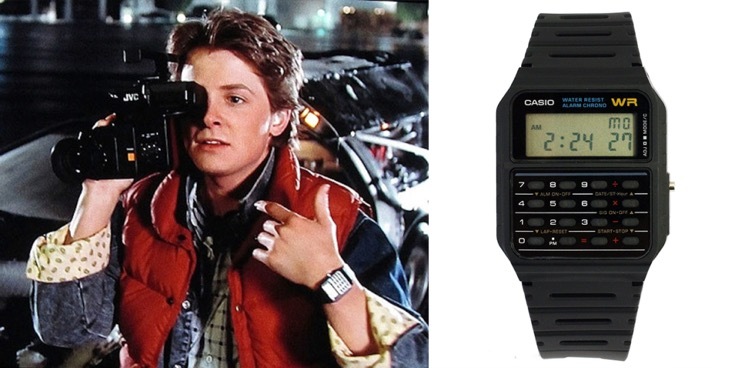 The most affordable but still pretty cool watch on our list comes from the sci-fi classic Back To The Future. CASIO CA53W TWINCEPT DATABANK can do many tricks like offering a full calendar, an alarm, a 1/100 second chronograph and super nerd identifier 8 digit calculator..! Most of the kids had one of those back in the 1980s but they became obsolete pretty quickly and got almost vanished buy mid 1990s. Well, we do not see them anymore but if you want have one of these funky gadgets you better check internet and flea markets. During this movie, which is based on Vietnam War like many others in Hollywood, Charlie Sheen was remembered not only with his sad face but his SEIKO 6105. 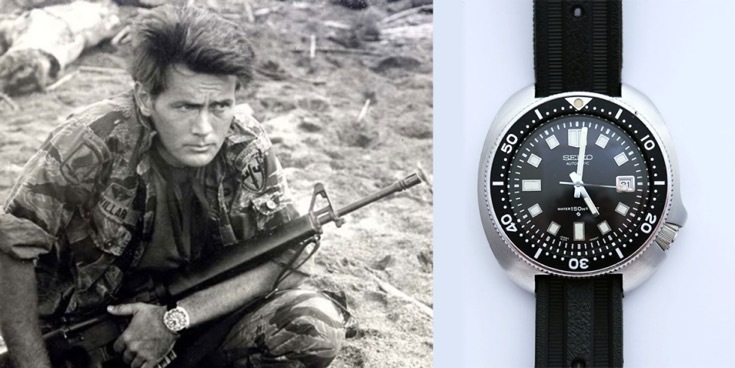 Sheen’s performance is arguable but SEIKO 6105 was a perfect choice for the movie as the model has been sold at the PX strores in overseas US bases which made them as standard as a M-16. The original SEIKO 6105 was offered on rubber diver’s strap but metal bracelet and fabric strap version followed. Featuring one of the coolest super monster costumes, Predator is considered to be one a cult sci-fi/action movies of it’s era. What puts that great movie in to our list is the Seiko H558 Quartz Diver which looked as invulnerable as Arnold Schwarzenegger. 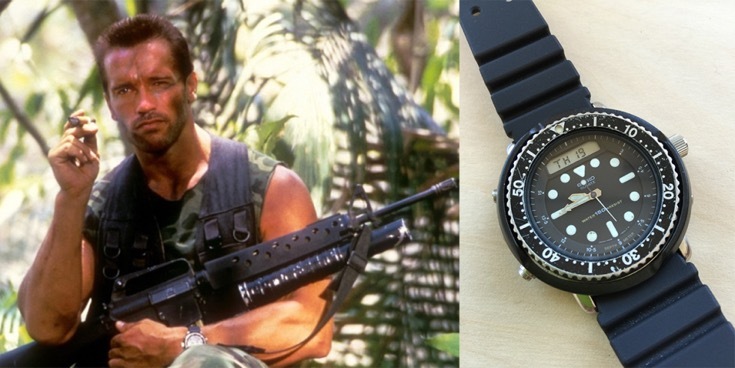 By the way, the relation between Arnie and this iconic Seiko was not limited with the movie Predator only. The actor wore that watch in his other films like Commando and Running Man too. Seiko H558 Quartz Diver walks away from many battles un-harmed and earns the title “the most durable watch of the silver screen “. Watch aficinadıos will remember, the actor Val Kilmer was wearing a a classic version of Jeager Le-Coultre’s iconic timepiece Reverso while playing the charismatic Bruce Wayne. After a long period, Batman practically “rised” again thanks to the successfull director Christopher Nolan making the DC Comic’s legandary character popular once again. 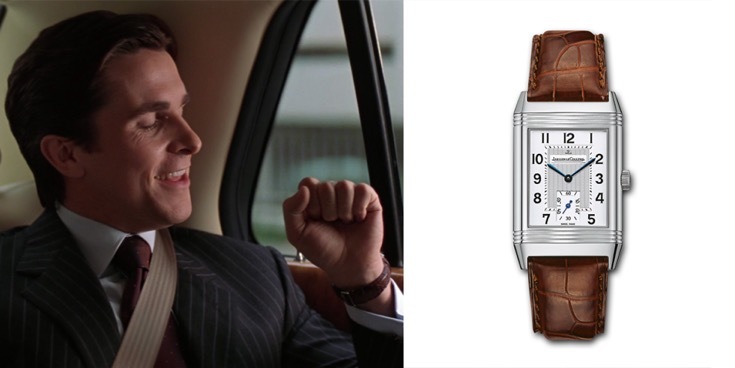 The JLC Reverso Grande Taille which was worn by Christian Bale on the other hand was an easy one for the fellow watch enthusiats. Now it’s time for a true legend duo; Ian Fleming’s cool secret agent James Bond and his famous Rolex Submariner. James Bond was first introduced to the silver screen by the actor Sean Connery which is still considered as one the coolest James Bonds ever. 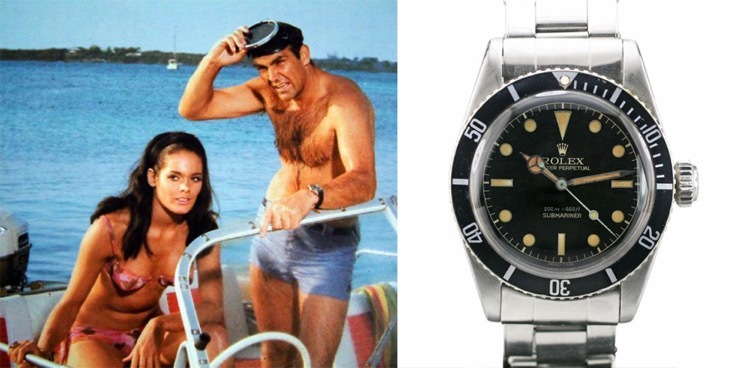 Thanks to the famous actor, the Rolex Submariner he was wearing during the movie Dr.No became one of the coolest silver screen apperances in the history of watches. There is no such evidence about Ian Fleming going for Rolex Submariner for his character’s watch but considering the Submariner’s realiability and un-matched versatility, there was ( is..? ) no better option. Men In Black was one the block busters of 1997, featuring a vast variety of futuristic weapons, gadgets etc. and a pair of Hamilton Ventura XXL timepieces which fit the scenario perfectly. Interestingly, despite it’s “came from the future” looks, Hamilton Ventura was originally issued in 1957. In fact, it became a quite popular item when young Elvis Presley wore it in his movies. The movie Le Mans was a true hit thanks to the apperance of the cool actor Steve McQueen and many high-adrenalin scenes succesfully capturing the adventorus spirit of motor sports. Generally known with his trade mark Rolex Explorer II Ref. 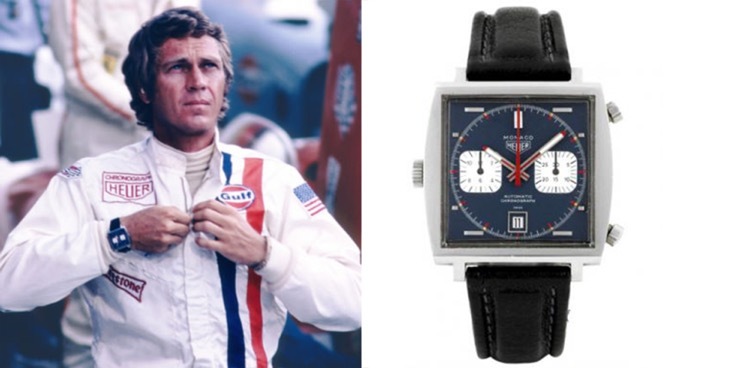 1655 watch, McQueen wore arguably the most popular square watch of the history Heuer Monaco. 8) PULP FICTION - ? 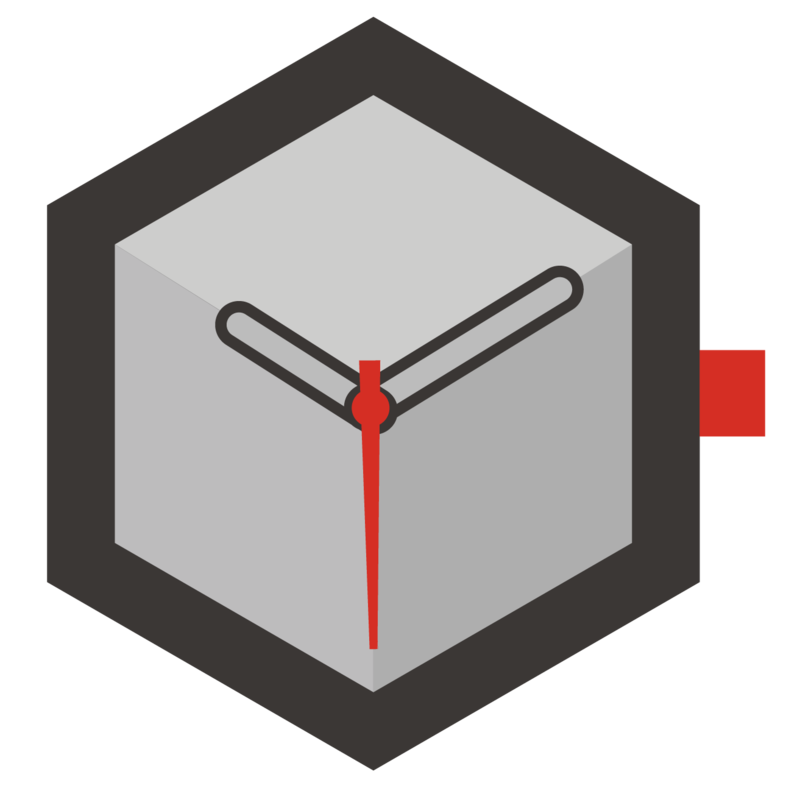 The last timepiece in our list is a pretty controversial one. 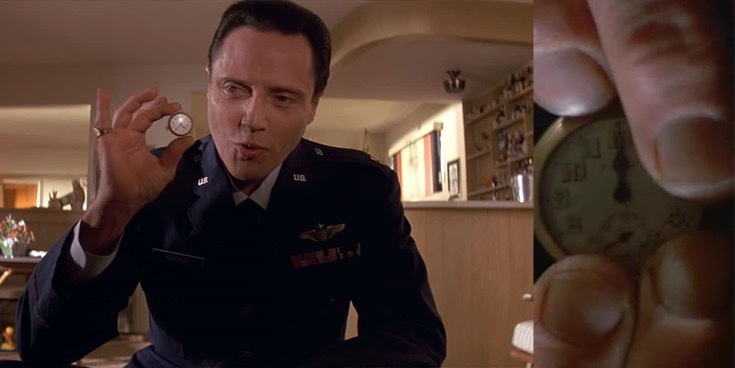 We have no positive id for this little watch we met in Tarantino’s masterpiece of 1994 "Pulp Fiction". While some of the watch folks think that it just an ordinary vintage timepiece, some hypercriticals believe that it’s a WWI era Lancet. Those type watches,which are known as the “Trench Watches” due to the soldiers of WW1 taking women’s pocket watches and converting them in to wristwatches by soldering wires to their cases just like the early versions of Panerai Radiomir, are quite hard find nowadays. Considering Captain Cook’s explanation about the watch, you will not fancy finding one will you..?